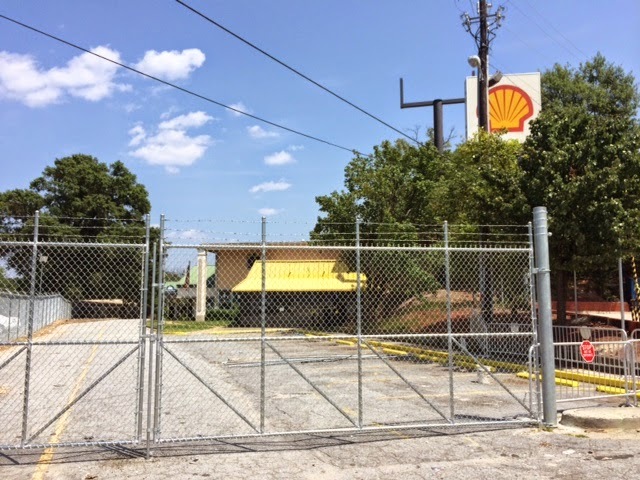 The Days Inn hotel and onsite Waffle House on Northside Drive near I-75 closed earlier this summer and had sat idle but fenced in for months. 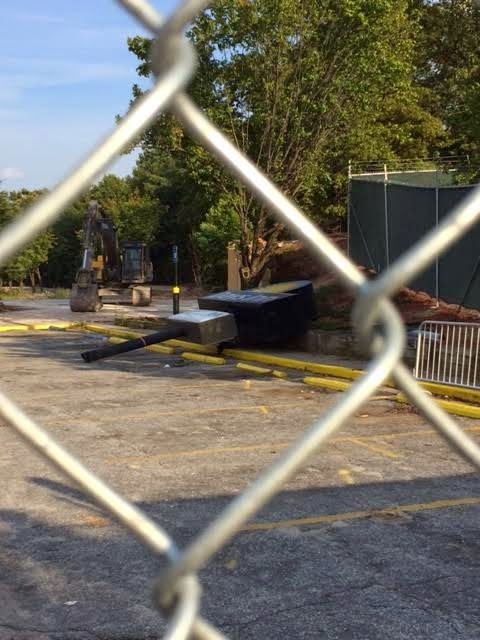 A few weeks ago, The Day's Inn and Waffle House at 1701 Northside Drive were demolished, but reportedly without proper permitting. 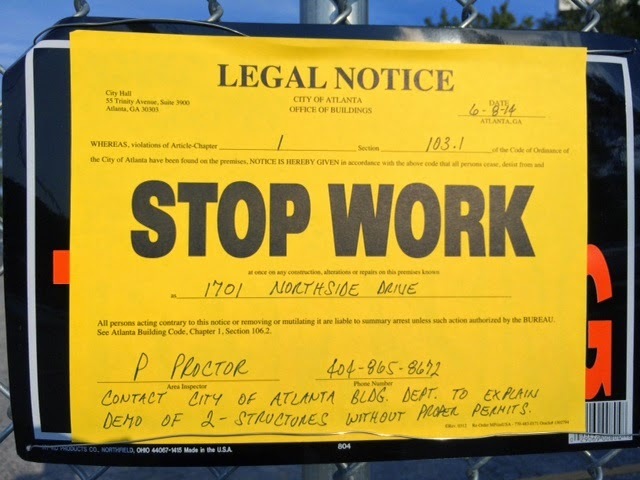 As of last week, a STOP WORK order was posted on the fence around the property. 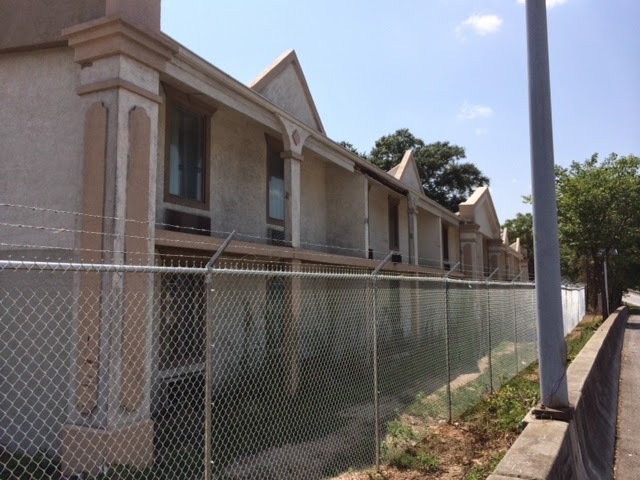 The sign indicated that the demolition had occurred without proper permitting and officer P. Proctor on behalf of the City of Atlanta Building Department, sought an explanation for the unapproved work. An exit away on Howell Mill Road, Selig Enterprises redeveloped the former Castlegate Hotel property into the District at Howell Mill. The large center opened in 2007, and includes a Walmart Supercenter, T.J. Maxx, ROSS Dress For Less, Office Depot and a number of other smaller shops and restaurants. After a number of phone calls and lots of internet digging, I've uncovered a number of new nuggets on info regarding the Days Inn property. The hotel was built in 1960 and was sold in 2004 to "Selig Wesley Ventures LLC." I confirmed that Selig Wesley is associated with Selig Enterprises, and that the company sold the property a few months ago. Interestingly, referring to it as an "opportunistic purchase," Teachers Retirement System of Georgia and the Employees Retirement System of Georgia jointly purchased the property.  As the two are state run organizations, they are exempt from open records requests for one year from purchase date therefore making the purchase price a mystery for now. According to the Fulton County Tax Assessors office, the 3.2 acre parcel appraised at $2,500,000 in 2014. Teachers Retirement System of Georgia and Employees Retirement System of Georgia are both currently located in nearby Two Northside 75, a nearby office complex. 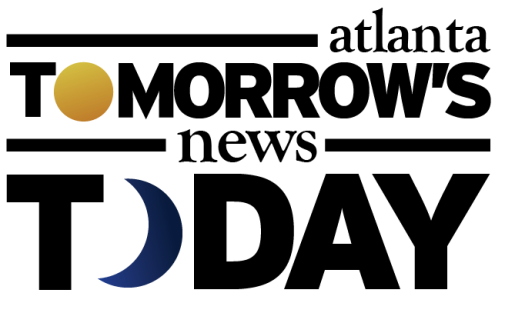 Sources indicate that the long term plan may be to construct a new office complex to become the new home of both organizations. Do you know what is happening to the bar next door? Is it included in the purchase? Will it be demolished as well? The "bar" next door is today known as Dreams Gentlemen's Club and as far as i know, is staying put. If property appraised for $2.5 Mil, rest assured the state would have paid at least $3.5 Mil. Thank you for the write up keep up the good work! 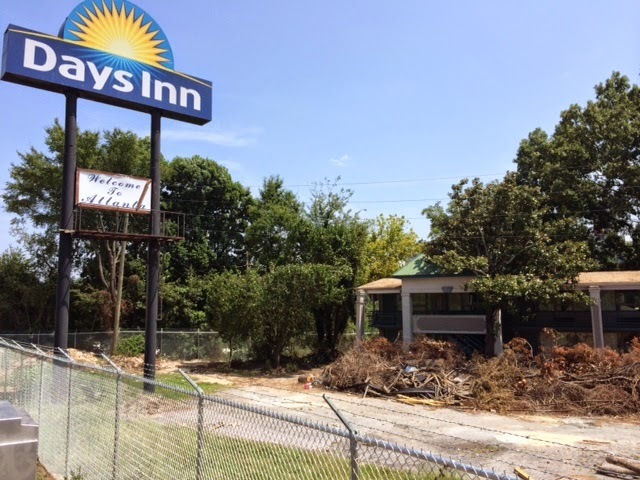 CUSTOMERS COMPLAINS THAT A DEMOLITION OF A WAFFLE HOUSE AND DAYS INN HAVE BEEN TORN DOWN WITHOUT A PERMIT...."
"Dreams" has had a lot of different names over the years, including Tiffany's, the Diamond Club. At one time it was Guys & Dolls, with separate stages for male and female dancers. I don't remember the other male dancer bar that was there, but it was reportedly opened by the owners of Swinging Richard's specifically for female customers (who had reported being treated badly at their gay-oriented location down the street). Back when the roof line was more visible, it was unmistakably a Howard Johnson's restaurant. My father used to eat at the HoJo restaurant back in the late 1960's. He worked nearby at a Westinghouse office, and he told me this was a frequent haunt of office workers from around the area. Thanks for the pics and the story.